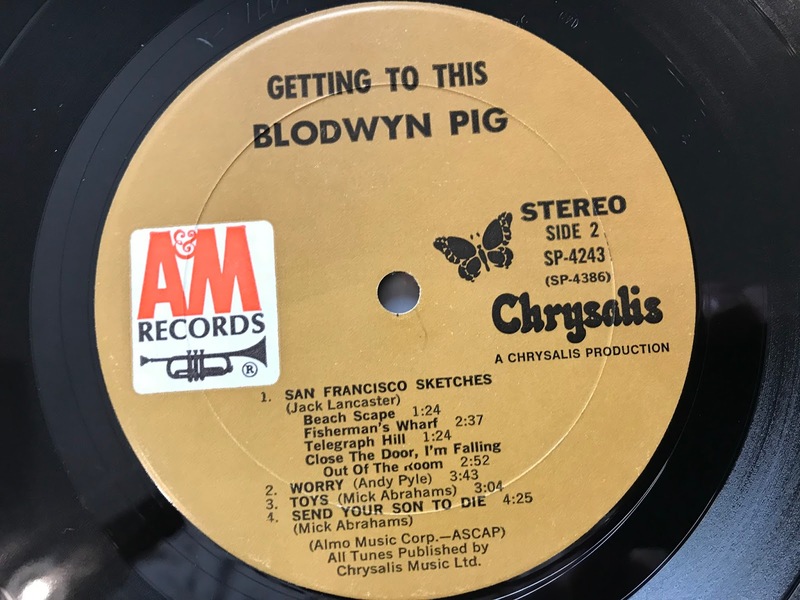 I found this Blodwyn Pig album loitering in the "P" section, misfiled or misplaced by somebody. 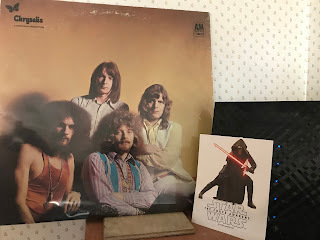 It was an album I'd had on my want list for some time...but for whatever reason...was never quite ready to pull the trigger. Either something else would catch my eye or the green paper in my pocket was being shy. Anyway...it's mine now. 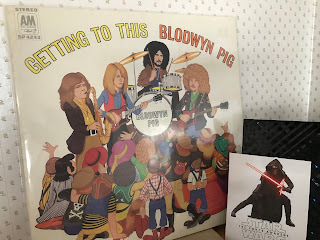 "Getting To This" is an okay album. Nothing will blow you away, but it does have its moments. This was Brit blues rock, for sure...but there were flashes of prog and tangents of jazz that I had not expected. There lies the small rub. The album was enjoyable, if a little helter-skelter. And it benefits from repeat listens. Once I went through the deck a few times, my mind found its happy place and relaxed. In other words, it's a grower. The gatefold is bright and fun, too. No instructions, however, you are required to "throw up" before you can start the game. There is also a dot-to-dot of an obvious pig and a box maze to entertain the messed-up mind. "Variations on Nainos"... might be a thumb-nose to ex-band mate Ian Anderson. With the flute work and "time will tell" refrain...who the flip knows. Doesn't matter. It's fantastic. "Toys"...a sweet look-back on childhood siblings. Acoustic little gem...and I dug it. "San Francisco Sketches"...is the 8 min. prog jazz snowball. 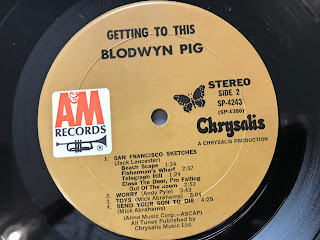 This was my first taste of Blodwyn Pig. Glad I picked it up. I'm still waiting to find their '69 debut, "Ahead Rings Out" which many fans consider to be the stronger album. Co-founder and gnome-king Daevid Allen had flown the coop at this point...and he took his trippy, space-psych with him. 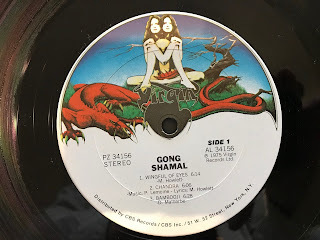 On Gong's sixth album..."Shamal"...the band flies into a more proggier jazz direction. This time, the music is being guided, in no small part, by percussionist Pierre Moerlen. And here's a scary word for you. "Fusion." Fusion is a musical fence that's very hard to walk without losing your balance. Sure, it looks easy. Starting out. But it's extremely hard to stay up and your friends will get bored watching, if not careful. Fortunately, Gong succeeds on this offering. There's lots of nice flute, vibraphone, xylophone. Quite a bit of tasty percussive tinkerings. An occasional sax. And just a wee bit of guitar. So little, in fact, the instrument really stands out when it joins the fray. I wish there had been more. It's doubtful you will ever hear any of this album on "The Psychedelic Experience." Not like their earlier stuff. But this is pretty good...for what it is. Knowing that going in and you stumble upon this cheap. Pick it up. "Chandra"...Lots of things going on. Very Zappa-esque. 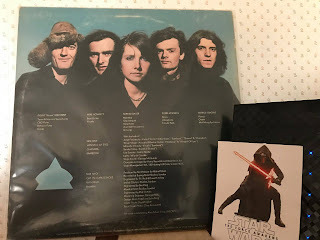 "Bambooji"...flavors of the Orient abound before a welcome (if short) Steve Hillage guitar break midway. Fantastic tone. Sadly, he only appears on 2 tracks. "Mandrake"...this one spoke to me. Felt like I took a complete journey in 5 minutes. 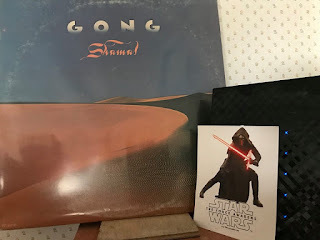 I picked up this album simply because it was Gong. And I didn't own any. This wasn't exactly what I was expecting. But sometimes...you get what you need.